My parents hauled me up my first 14,000-foot mountain when I was only ten months old, and I like to imagine the thin, oxygen-depleted air at the summit of Mount Yale is infused with the spirit of adventure. Anyone who has climbed a lofty peak has encountered this spirit; it heightens the senses and nourishes the soul, and perhaps as an infant I became addicted to the spirit of adventure. 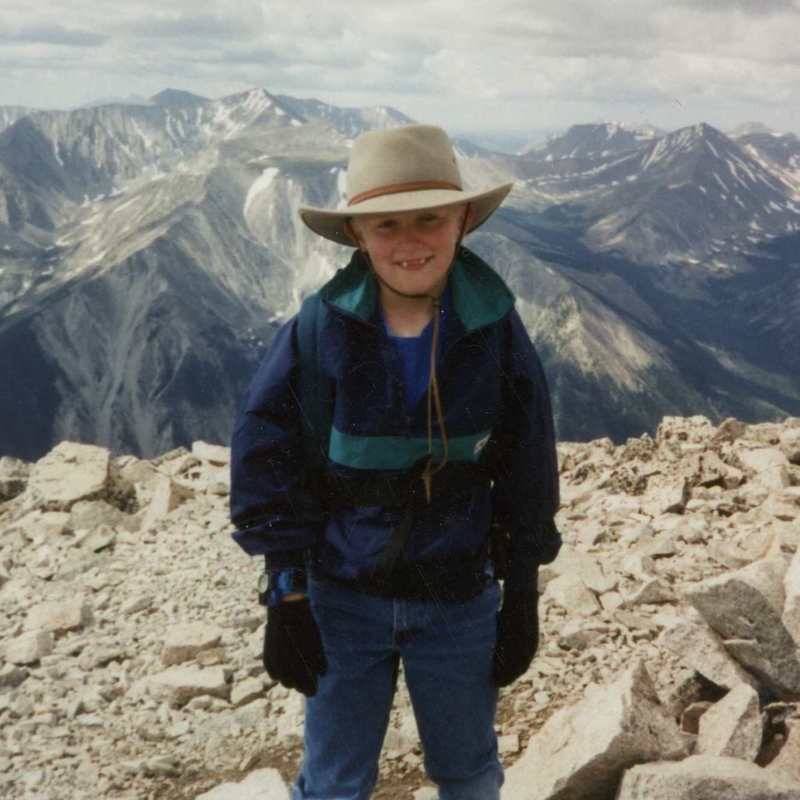 At the age of nine I climbed my first fourteener. I enjoyed the challenge of the climb, but I distinctly remember the pain from the treacherous descent. Climbing Mount Princeton is no small feat for a child, especially a child with cerebral palsy. Since birth, cerebral palsy has hindered my fine motor control on the right side of my body which limits my physical abilities and causes me to walk with a slight limp. I realize my life exists in the midst of a dichotomy between strength and weakness. The right side of my body hinders my potential and evokes insecurity, yet the left side beckons boldness and constantly pushes my limitations. It is within this internal tension that I live day to day, and it is this tension that prevents me from living a static life. Over the years I have summited nearly a hundred mountains including all 54 of Colorado’s fourteeners. In 2012 alone I climbed over 300,000 vertical feet over the course of the year. In 2013, I hiked the entire 486-mile Colorado Trail in 31 days, and a month later I ran the Pikes Peak Ascent. Even though The Ascent was only my second half marathon, I finished in the top ten percent of runners. For 2014, I successfully hiked from Mexico to Canada on the 2,660-mile Pacific Crest Trail over the course of four and a half months. It's safe to say I have traveled more than 7,000 miles of trail over the years. I now face my biggest challenge yet—sharing my story and empowering others. and the wood burning stove. with thick bark and a hint of vanilla. I'm from O beautiful for spacious skies. crafted with dreams in mind. and “meet me on the other side”. from muted tones and fading hues. from the weight of love and grace.